Born for leadership, Nkgomeleng Julia Petla is the founder and MD of Amedzo Trading and Projects, a 100% black-women-owned construction company which turns 10 this year. Her success can be attributed to a long list of achievements throughout her career, including a master's degree in business leadership, her appointment as head of the Gordon Institute of Business Science: Women Economic Empowerment Programme (2014-15), and an alumni and ambassador for the South African Institute of Chartered Accountants. 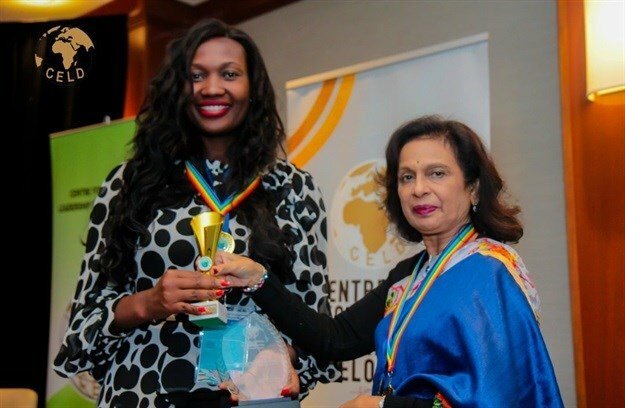 Recognising her success, Petla was recently awarded a Global Impact Leadership Award in the Construction Industry - Gold category from the Centre for Economic and Leadership Development. We caught up with Petla to find out what it takes to make it as an entrepreneur in SA, how her company is empowering the previously disadvantaged, and what her expansion plans are for Amedzo. Give us a bit of background on how you came to be an entrepreneur in the construction space in SA. Petla: After returning from the UK, where I had migrated from 2005-2009, I could not find employment that met my salary expectation and I saw an opportunity to deal with the employment creation challenge. As a female black entrepreneur, I was inspired to start Amedzo Trading and Projects as an entity providing turnkey projects for the full spectrum of building solutions in the construction fraternity. With ten years of experience under your belt, what does it take to make it in SA? Aim at quality and Amedzo’s pay-off line is 'Quality as lifestyle'. Cost management containment is critical to ensure profitability. Working capital management is important to ensure efficiency and effectiveness in handling projects. Professionalism is also required to build goodwill and credibility. Human resource management also ensures that we keep the best talent and teams who can deliver. Great leadership skills are also required and this involves situational leadership, flexibility and emotional intelligence. Entrepreneurs also need to know their macro-environment and also adhere to compliance regulations. 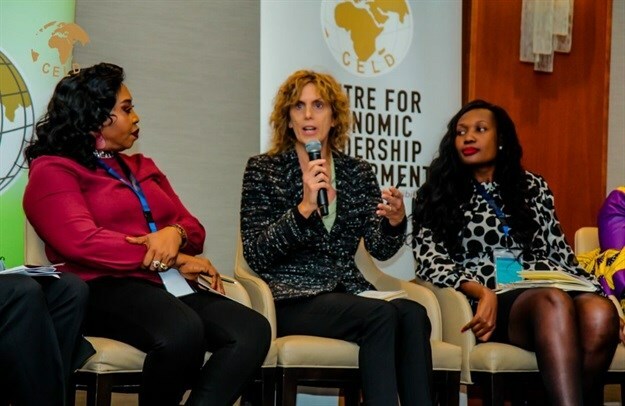 You were recently awarded a Global Impact Leadership Award from the Centre for Economic and Leadership Development - what does the recognition mean to you? It is indeed an honour not for me as an individual only but mostly to the company I represent which gets to show that the daily efforts compound to contribution which is significant on the global map. 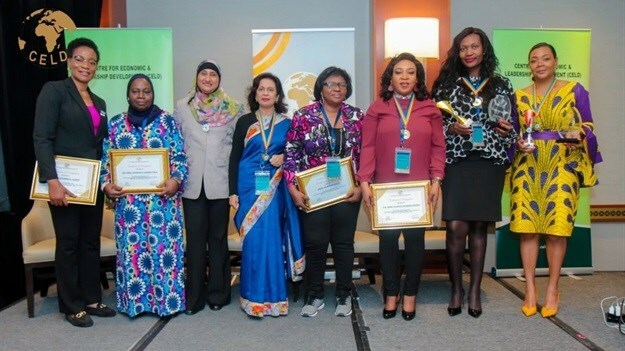 It is also a recognition for women in Africa to remind us that we have potential and that we should be part of a broader partnership to foster development firstly in the communities we represent, our nation and the entire continent. Who are some of your business mentors? I have been fortunate to have mentors from the following organisations: Denel business mentorship programme; De Beers Enterprise Development programme; and AIF Business Development. What advice do you have for other women trying to get a foothold in the male-dominated construction industry? Self-confidence opens new doors and it is important to have a healthy self-belief and strong internal control. Armed with this, you can be able to stand up shoulder to shoulder or even shoulders above the rest, despite the stiff competition prevailing. Do you think women in construction still face the same challenges you did when starting out in the industry, or have you noticed a shift in mindset at all? Women are being given opportunities. However, stereotypes still exist at grassroots where the girl-child is not given priority for education and, as a result, there are higher drop-outs of female students as compared to their male counterparts. We should applaud efforts by government as part of transformation by giving female entrepreneurs an opportunity to run businesses in various sectors. The construction industry has female entrants over the years; however, they need to move from the building maintenance sector and occupy other sectors in the industry like property development and large infrastructure development projects. This may not be a policy issue, but rather fighting stereotypes currently existing, and building confidence among women. What are some of the impacts your business has had in terms of empowering South Africa's previously disadvantaged - do you have any stats to share in terms of job creation and skills development? Amedzo has been taking on interns for the past nine years of its existence. The company takes six interns every year and ensures that at least three are females. Amedzo employed 40 workers from the Limpopo province at the Venetia Underground Project (VUP) in 2018. The number consists of 14 female employees and 26 male employees. The 14 females consist of six skilled and semi-skilled labourers. Do you have any expansion plans for Amedzo? Amedzo will have a higher CIBD level (Level 7/9) after completing the VUP project on October 2019. The higher CIBD grading will ensure that we have the capacity to go for bigger projects which we previously could not go for. Amedzo will continue to offer turnkey solutions and expand operations to other provinces in SA. What is the most joyful part of what you do? Playing a part in contributing to the economic well-being of South Africa. Contributing positively in the lives of young women by coaching them. Inspiring people through telling the Amedzo story as a motivational speaker. Most businesses fail within five years of their existence and Amedzo has been around for 10 years. It is a milestone which energises me to keep looking for more opportunities for growth and partnerships that will take the business to a new level.